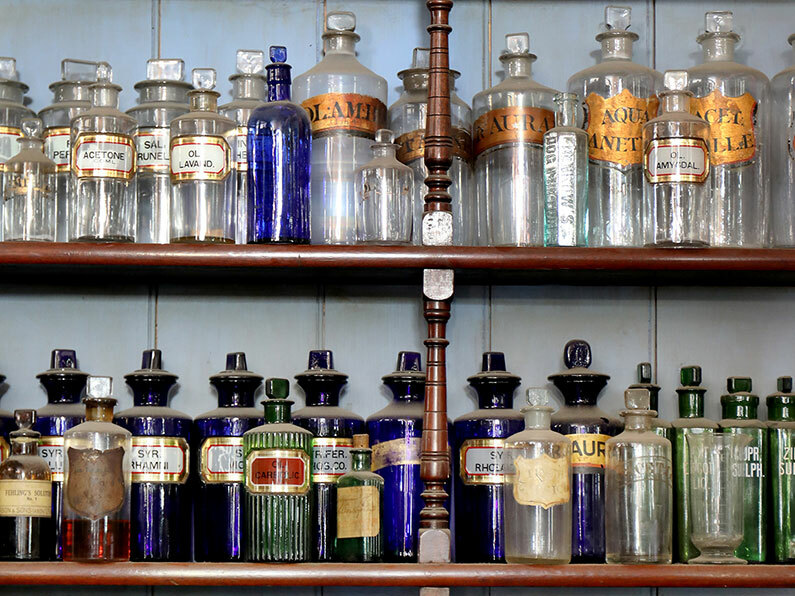 Visit our magnificent Victorian Pharmacy, which now incorporates our payment area. Formally of 99 Piccadilly, in the heart of the West End of London. The pharmacy was trading as Perkins and Company. It is rumoured to have served Royalty and celebrities alike, from specially prepared herbal cigarettes for H.M. Edward VII, to prescriptions for Mick Jagger during the 1960’s, promoting the Stones hit ‘You Can’t Always Get What You Want’ referring to the use of illicit drugs. Sadly Perkins and Company ceased trading in 1972, no trace of the original shop remains today. The interior was dismantled and removed to a basement in Lisson Grove where it remained until rediscovered in the early 1990’s. Rescued, restored and reassembled by the present owner in the Ampthill Antiques Emporium as a fond reminder of how shops were in days gone by. Ampthill itself played an important part in the production of medicines, growing copious amounts of Lavender and other herbs to be processed into scores of different drugs at the towns very own factory. Silver Nitrate, resublimed iodine, potassium, iodine, Quicksilver for mercurial ointment and essential oils such as lavender, rosemary and gelatine were among products produced.